Phellodendron Bark is the cortex of deciduous tall trees of Phellodendron in the rutaceous genus excluding the cork layer. 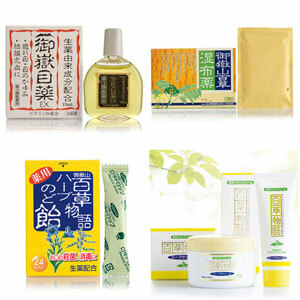 They are distributed only in East Asian areas such as Japan, Korean Peninsula, northern China, Ussuri, and Amur regions. In Japan, they grow naturally in the mountains through Hokkaido to Kyushu. They are dioecious and grow up to be more than 15 to 25 meters tall, with the stem diameter of 50 to 100 cm. The dried bark (endodermis) of Phellodendron is called Phellodendron Bark in herbal medicine. 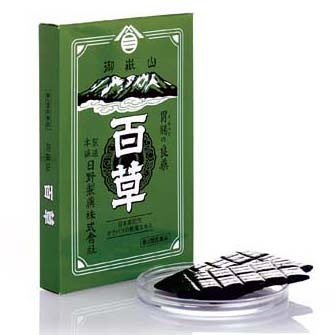 Phellodendron Bark is one of the important herbal medicines listed on Shennong Ben Cao Jing in China, but in Japan, it is evident that it has been used as medicine from the Jomon Period, long before herbal medicine was introduced into Japan. Barks of Phellodendron preserved in the pots along with chestnuts and acorns were excavated from the dwelling places of the Jomon people, from which conditions, it is archaeologically confirmed to be the oldest herbal medicine in Japan. ”Hyakuso” is made from Phellodendron Bark which is decocted with water, boiled down, dried and then made into the form of plates with no additives. It is folkloric medicine from Kiso Ontake widespread and known throughout Japan as “Hyakuso the stomach medicine”, “miracle cure for stomach and intestines”, and “stomach medicine that cures all diseases”. “Daranisuke” from the Yoshino region in Nara prefecture and “Neriguma” from the Sanin region also have the formulation using Phellodendron Bark extract. People say that “Bitters do good to the stomach”, and “Hyakuso” is literally extremely bitter, but this bitterness stimulates the secretion of digestive juices and enhances the functions of stomach and intestines, which is effective in stomach inflammations and gastrointestinal diseases from excessive eating or drinking, food poisoning, and diarrhea. The main component of Phellodendron Bark is Berberine, but other components include palmatine, obacunone as bitter principle, and a large amount of mucus. Berberine has an antibacterial effect, and it had been used not only for stomachic and intestinal remedy but also for cold and dysentery as folkloric medicine in ancient times. It is also used for bruises, sprains and stiff shoulders as external antiphlogistic, and also for mouth ulcers, skin diseases, cuts, and as eye drops. 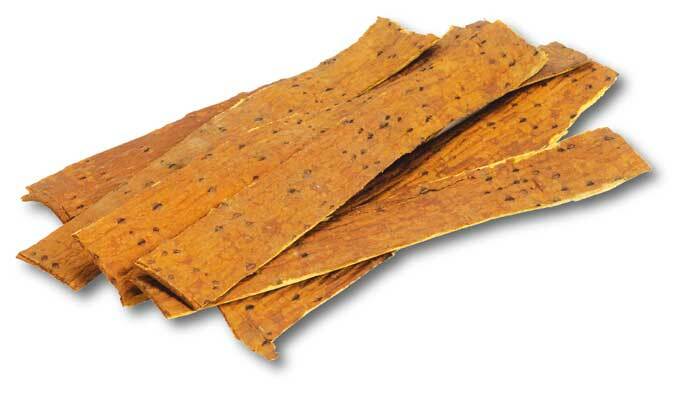 In Chinese medicine, Phellodendron Bark is said to bring down fever of the lower body, stops diarrhea, and cures stomachache and jaundice, and therefore it is often used as combination preparation. Phellodendron Bark is also used for liquor by civilians. There is a record that official documents used to be dyed with Phellodendron Bark in China. This was because of the insect repellent effect that Phellodendron Bark has, and yellow paper dyed with Phellodendron is mentioned in the ancient documents of the Tenpyo period. Paper dyed with Phellodendron for transcribing a sutra is actually stored in Shosoin. Currently, domestic Phellodendron Bark is very rare, and most of it is imported from China or Korea. It takes over 20 years for Phellodendron Bark to grow, therefore we are starting to plant it in the local mountain forests this fiscal year. 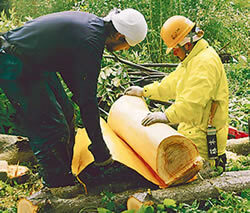 We will also pursue research on the extensive efficacy of Phellodendron Bark and the possibilities as herbal medicine.